This UK Lotto Winner Quits Job And Lives Large > How You Can Live After Winning The Lottery "I QUIT!" 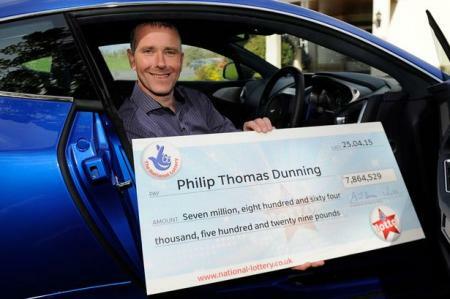 UK LOTTO WINNER SAYS NO TO WORKING AND YES TO LIVING LARGE! "I QUIT!" UK LOTTO WINNER SAYS NO TO WORKING AND YES TO LIVING LARGE! If you've been following the recent lottery news (or just reading our fabulous articles) you'll already know that this past weekend's UK Lotto jackpot was scooped by one lucky UK player. 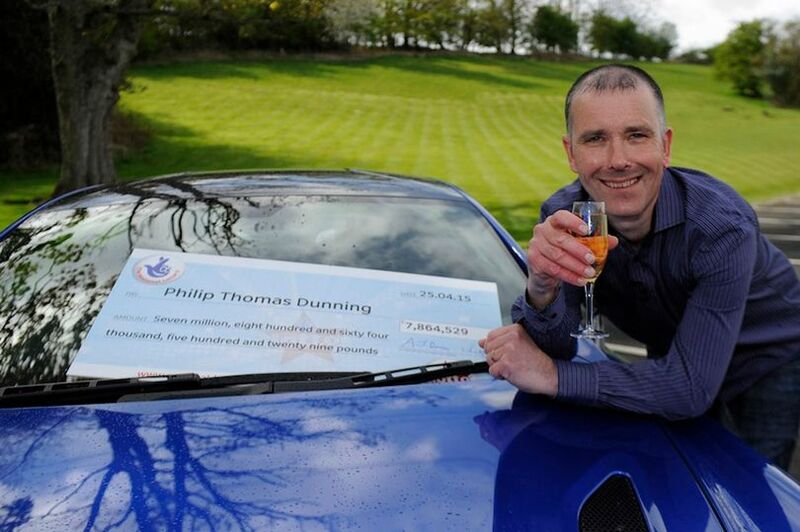 Not so great news if you were hoping to win it for yourself, but outstanding news if your name is Philip Dunning - the winner of a huge £7.8 million UK National Lottery prize! And not long after claiming the once-in-a-lifetime lotto jackpot, something we've always wanted to do, Philip went ahead and did something else we've always wanted to do - hand in his notice and start spending his money! We often hear of lucky lotto winners taking home huge jackpot prizes and then go right back to work - and while we've always admired their dedication, we've never been sure if it's something we could do. That's why Philip's approach as a newly-minted millionaire seems such an authentic one, and one we're sure you can connect with too - win a ton of money, resign from your job, and go live the life you've always dreamed of! Of course, winning the lotto and buying big, fancy, shiny things wasn't anywhere on Philip's to-do list when he first bought his UK National Lottery ticket. In fact, hitting the jackpot was so out of the realm of his imagination that instead of checking the numbers when they came up, he and partner Gina were already in bed. It took a phone call from friend, Sandra Easton, to alert them to their good fortune - and of course no-one slept a wink after that! "Gina and I had decided on an early night because we were both due in at work on the Sunday", says Philip. "So when the phone started ringing at 21:30, we got quite annoyed. The next thing I heard was Gina shouting that we'd won the lottery because our friend had checked our numbers for us on the TV. Neither of us slept that night. We just sat awake waiting for the numbers to appear online. It still hasn't sunk in yet. We can't believe that this has happened to us. It's life changing and we can't wait to start enjoying ourselves." Wait they certainly didn't - because the next day when Philip went to work for his 4am shift at a food plant in Bo'ness, Scotland, he immediately handed in his notice, as did Gina. "I kept the winning ticket in my wallet. I kept checking it throughout my shift, just to make sure it was still there", says Philip. And now that the two lotto winners are free to live a life of luxury, how will they be spending their windfall? Firstly on family, as it turns out, but then on a stylish new home, and an upgrade to their current Vauxhall Astra. No job to go to, a new house and a new car? Where do we sign up! If you're wondering how you too can walk into work and quit, and walk out the door and spend, wonder no longer - just buy your UK Lotto tickets online from GiantLottos.com! The UK Lotto's mid-week draw takes place tonight, and there's just enough time for you to buy your tickets in time to win the £2 million jackpot. So get online, get your UK Lotto tickets, and get ready to start living a life of luxury!